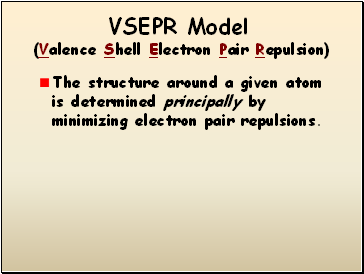 The structure around a given atom is determined principally by minimizing electron pair repulsions. 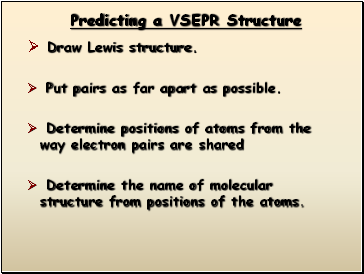 Put pairs as far apart as possible. 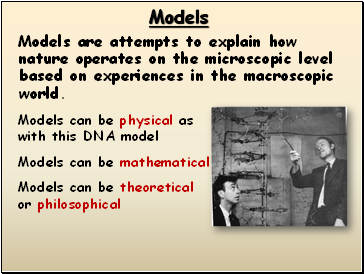 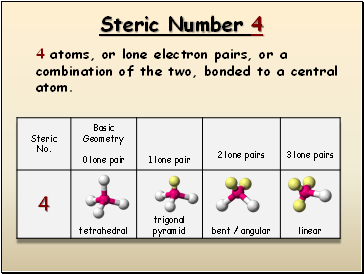 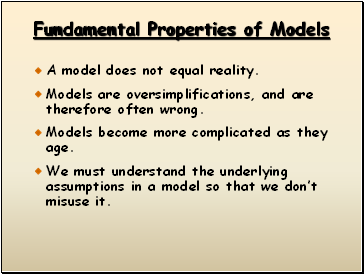 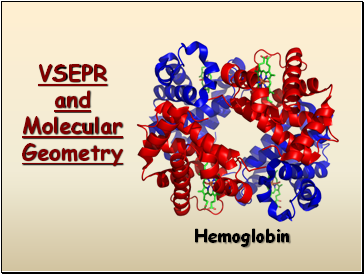 Determine the name of molecular structure from positions of the atoms. 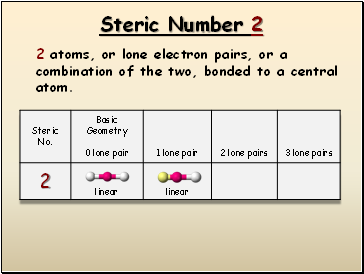 2 atoms, or lone electron pairs, or a combination of the two, bonded to a central atom. 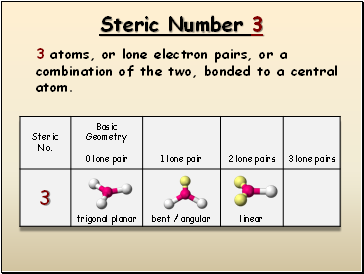 3 atoms, or lone electron pairs, or a combination of the two, bonded to a central atom. 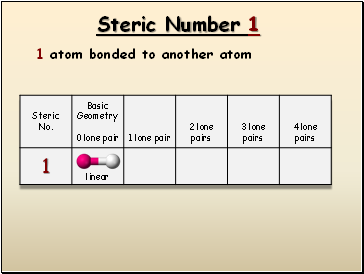 4 atoms, or lone electron pairs, or a combination of the two, bonded to a central atom. 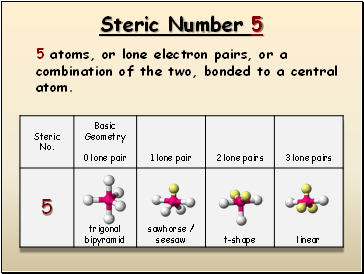 5 atoms, or lone electron pairs, or a combination of the two, bonded to a central atom. 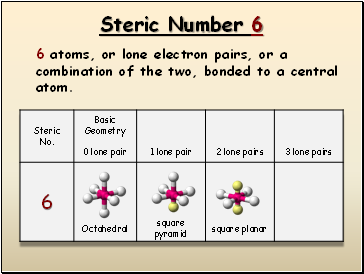 6 atoms, or lone electron pairs, or a combination of the two, bonded to a central atom. 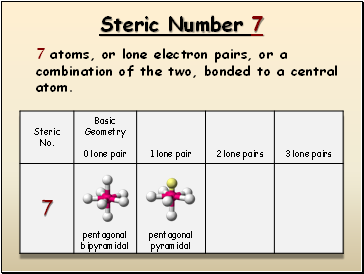 7 atoms, or lone electron pairs, or a combination of the two, bonded to a central atom.